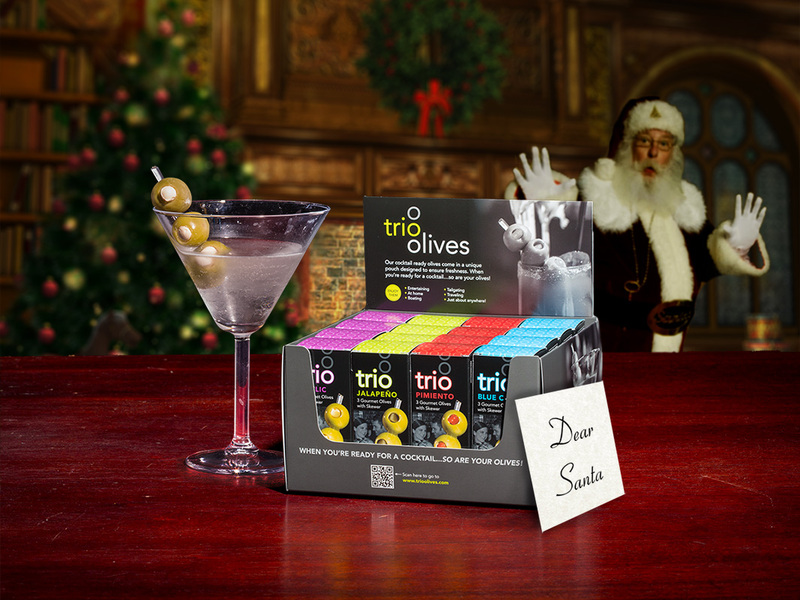 Trio Olives, single-serving cocktail olives packaged with three stuffed olives on a skewer, were sold both direct to consumer via e-commerce and to distributors and retailers nation-wide. The company owner contacted DrawBridge at the start-up phase to develop the product name and brand identity, then carry it throughout the packaging, business collateral, website, and advertising. Originally called Florence Bay and designed with a classical, old-world feel, DrawBridge researched the market, including competition and target customers, and recommended the name Trio along with a modern, sleek, urban design. 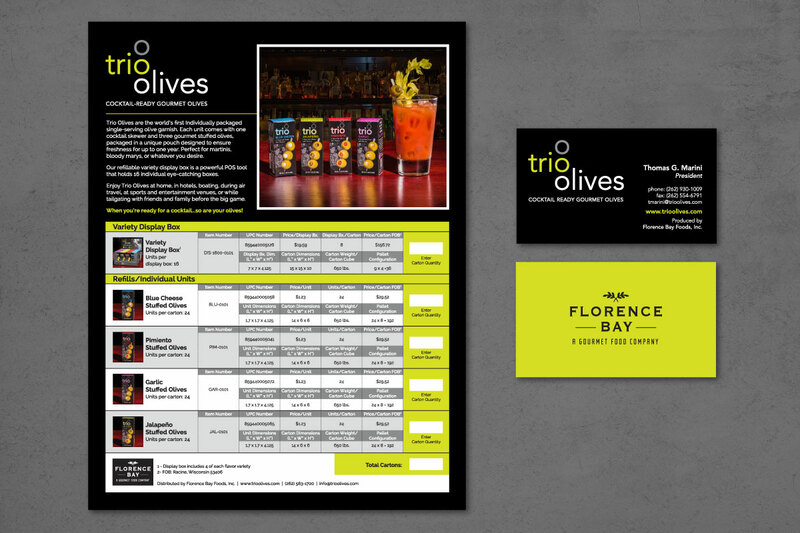 Liquor store shelves are packed with competing products, so the Trio branding needed to be bold and bright to stand out from the rest. We then carried the motif throughout the business collateral, promotional literature, point-of-purchase displays and in the digital realm as well.